And God made the two great lights—the greater light to rule the day and the lesser light to rule the night—and the stars. The lesser light was rather impressive tonight. 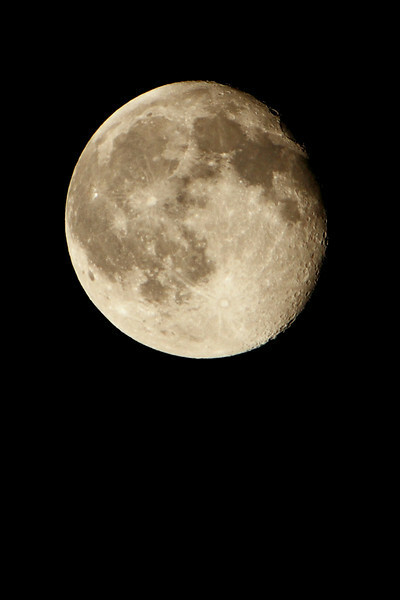 And with the 2X extender on the 200mm the moon filled the spot meter on my 7D. These were shot in Av mode.